Once upon a time the head of the family, the husband, went out to work each day to provide for his family while the wife stayed at home and followed her trades as a cook, cleaner, laundress, nurse, etc. And one of the tools she needed for her trade as a cook was a cookery book with detailed instructions on how to put those important meals on the table. 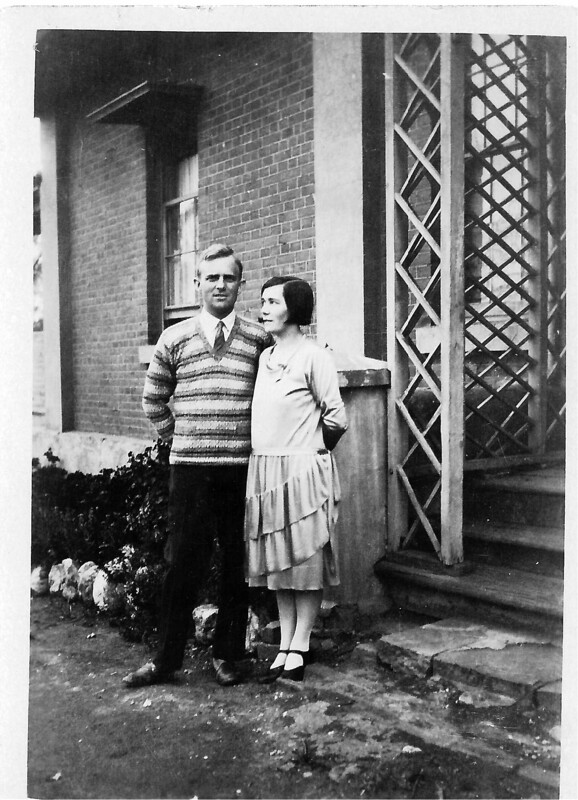 Vera Tansey married in 1929 and is pictured here a few weeks after her wedding. 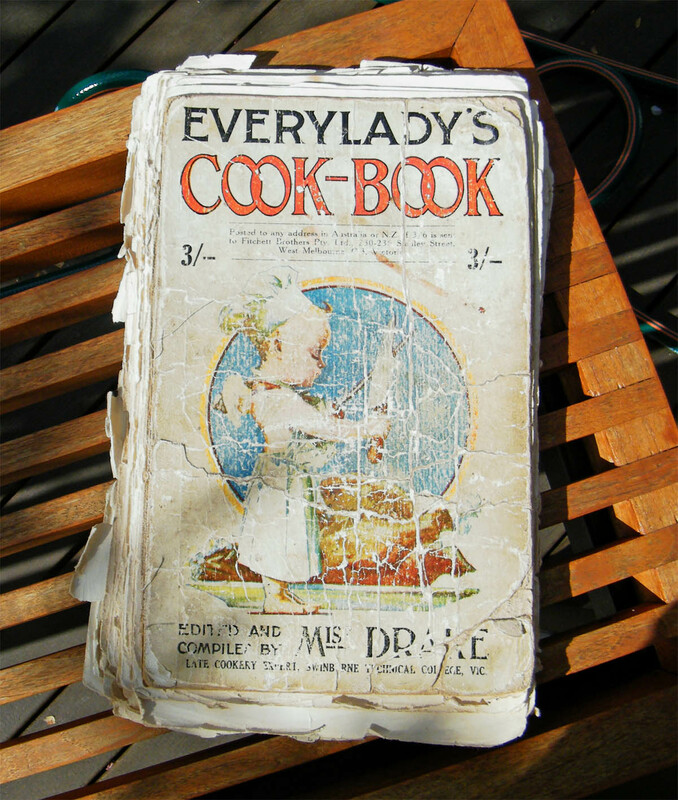 She had provided herself with an Every Ladies’ Cook-Book by Miss Drake. 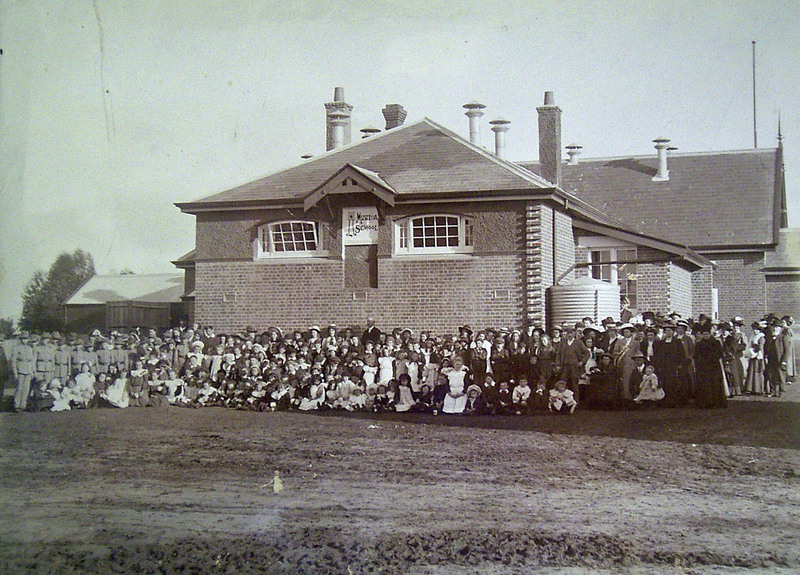 Lucy Drake who had trained in London had been in charge of cookery classes at Swinburne Technical College in Melbourne. Her salary when she started in 1914 was 12/6 a week. The publishers of Everylady’s Journal decided Australia needed a cook book which was suited to our climate and our tastes and offered Lucy Drake a large fee to compile such a book. Swinburne College granted her six months leave on half pay and she set off for Tasmania on holidays and went to work. Unfortunately a couple of weeks after the manuscript was delivered to the publishers she became ill and died. It is a good cook book. The recipes are clearly explained and mostly still very usable. It was a time when apart from a few saucepans you would probably have had a basin, a wooden spoon, a sieve or sifter , a mincer/grinder to screw onto the table and not much else. You did everything by hand. And you probably didn’t have refrigeration – at best an ice-box or a Coolgardie safe. So I could understand why you were told how your soup stock should be boiled up every day to keep it fresh. I was happily browsing the recipes when I came to a full stop;. How would you like to make some Ammonia Biscuits using a lump of Ammonia the size of a nutmeg ? I was shocked ! Ammonia ! But it wasn’t quite what I thought. 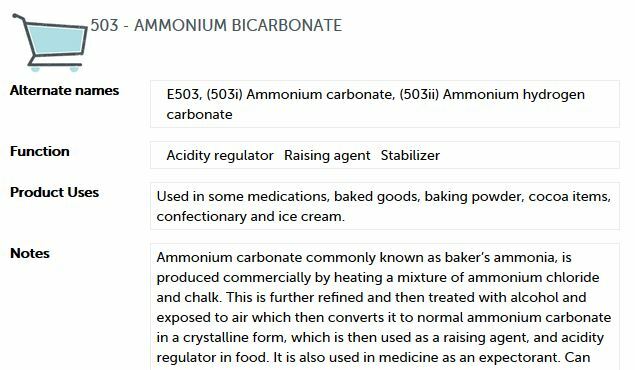 Ammonium bicarbonate was the forerunner of the Carb Soda and Baking Powder that we use today and it is still widely used today in commercial cooking as a raising agent and a stabiliser. This version is from a later reprint, 1940, and includes pages of advertisements. And should you wish to you can download the whole book or read it online. I have nothing but praise for Swinburne or any other educational institution which makes information available free of charge. Because of them I know a little more today than I did yesterday. And so to everyone else’s interpretation of this week’s Sepia Saturday picture with its street trader, tools of trade, menders, cobblers, etc. 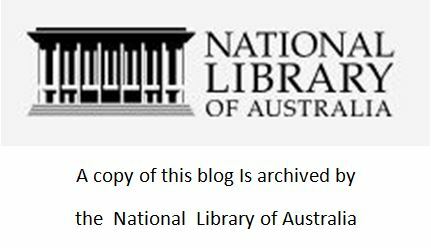 This entry was posted in Books, Castlemaine, Family History, Family Stories, Genealogy, History, Uncategorized and tagged 1929, ammonia biscuits, ammonium bicarbonate, book, cook book, cookery, Drake, Everylady, Lucy Drake, Swinburne, Tansey on October 18, 2014 by lazycoffees. That’s interesting. Does that mean if you were to deliver a parcel by horseback you are not transporting that parcel. It needs to be delivered in conjunction with a vehicle, aircraft or ship. 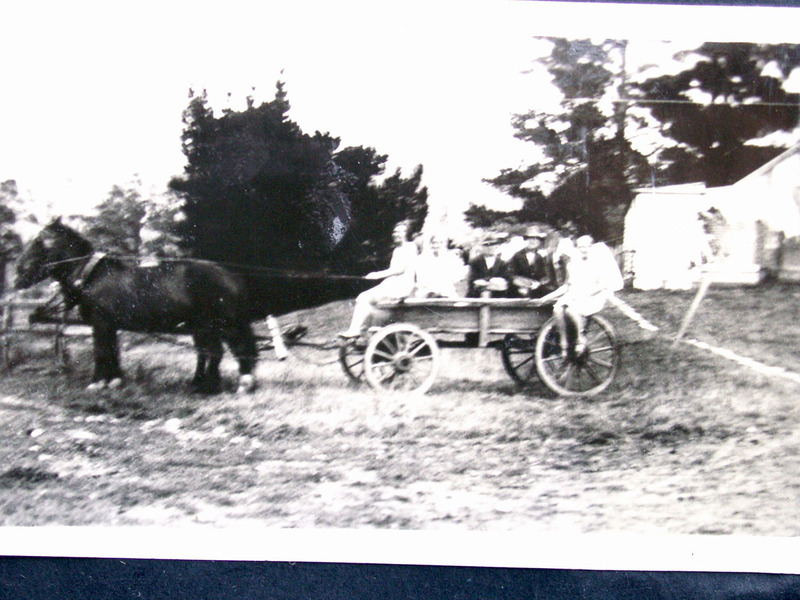 So I have looked at how my family have used horses for transport with the help of a WAGON. 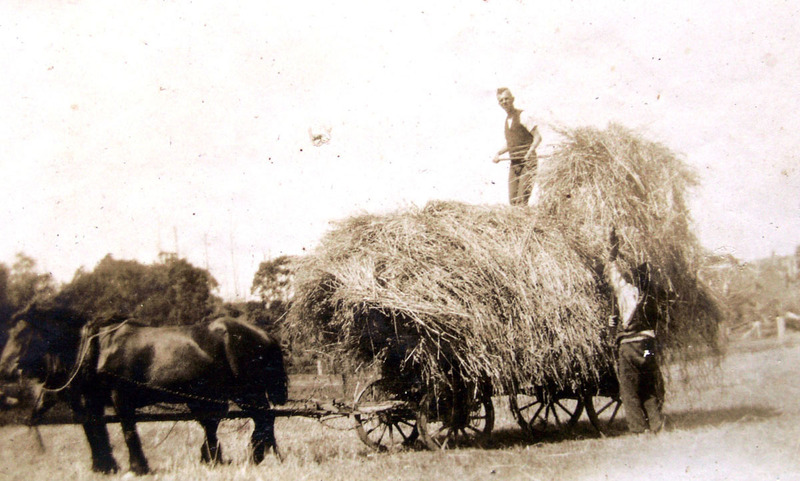 The first photo is of my grandmother’s uncle, Bullocky Bob, ie Robert Telford (1871-1940) and his bullock wagon. He only had one eye as the result of an accident. You’ll notice his dog trotting along at the back of the wagon. 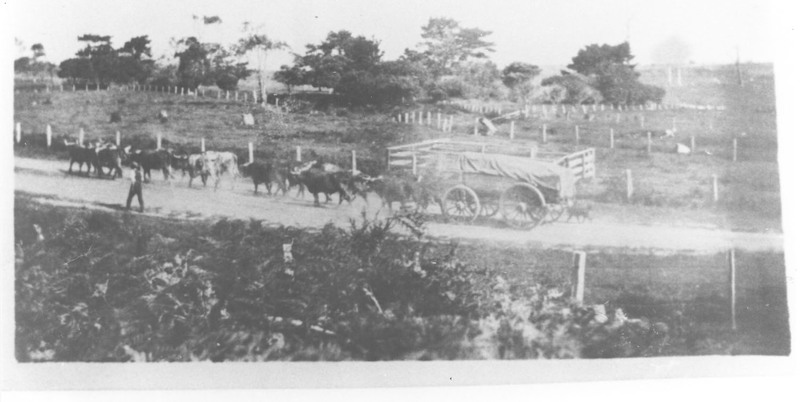 There is no train line to Apollo Bay so everything came in by boat or bullock wagon. It’s a very large wagon and we can’t see what he is carting as it has a cover over it. 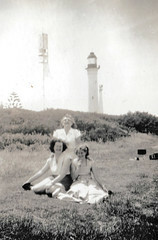 He lived at Apollo Bay and until 1930 the Electoral Rolls described him as a grazier. 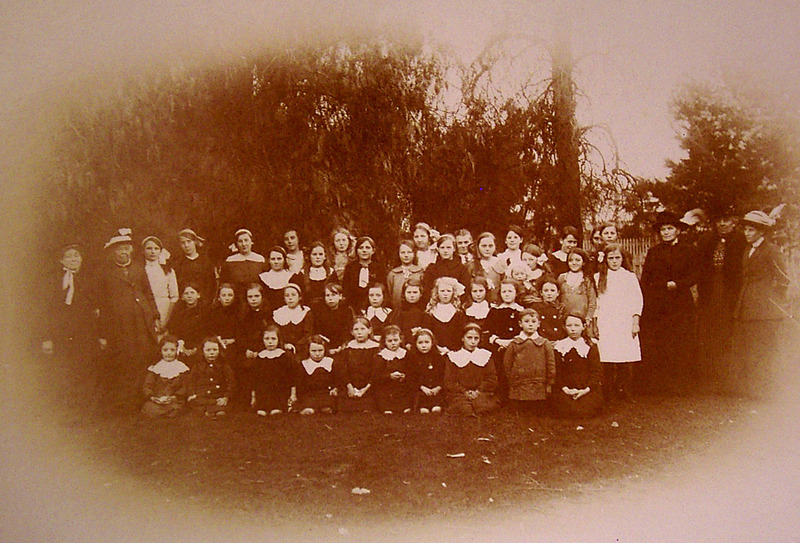 After that he and his wife were storekeepers at Duverney. The next photo is probably early to mid 1920s on the Fricke dairy farm, Glen Avon, at Apollo Bay in south-western Victoria. The wagon is being used for a family outing, perhaps they are heading into town on market day. 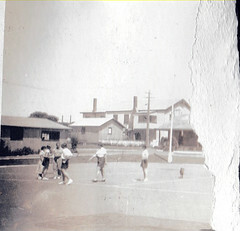 It is not a very clear photo but you can see the back of the house and the pole for holding up the clothes line. From here the track to the road winds around the back of the house and down the small hill. This wagon has the front wheels smaller than the back wheels and I believe this is because the steering is controlled by the front wheels and these smaller wheels give a smaller turning circle. I think the wagon is being driven by the eldest daughter of the house, my Aunt Enid. 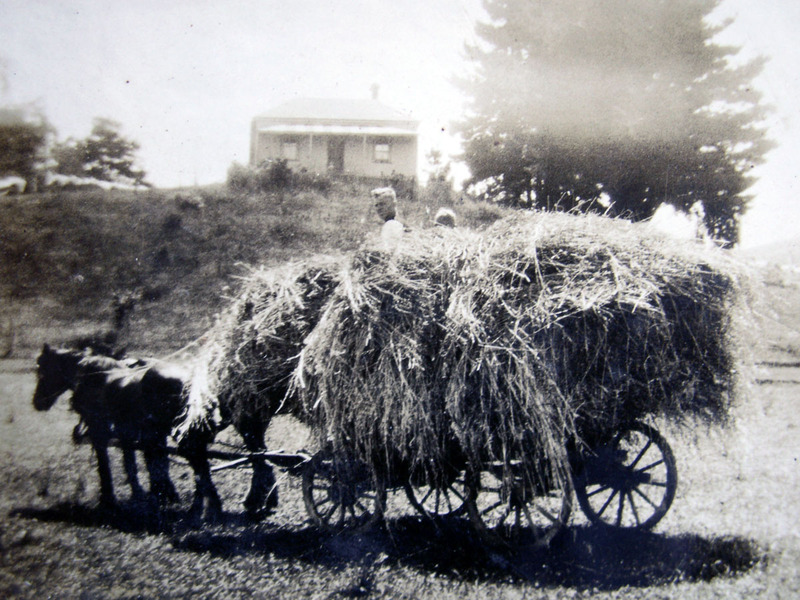 The wagon is also used for bringing in the hay. Here it is in the paddock at the front of the house and once again you can get a glimpse of the clothes line with its load of flapping washing. I think it is my father, Charles Fricke Jr. who is helping with the hay when home for the holidays. This is possibly mid to late 1920s and the smaller head of the other person sitting on the wagon is possibly his younger brother Alan, born 1920. Later there was to be a quite nice garden at the front of the house with bushes sculpted into shapes. Another photo was taken in the front paddock that day but this time it is facing away from the house and across the valley, with Charles standing up and someone possibly tossing the hay up from the ground. 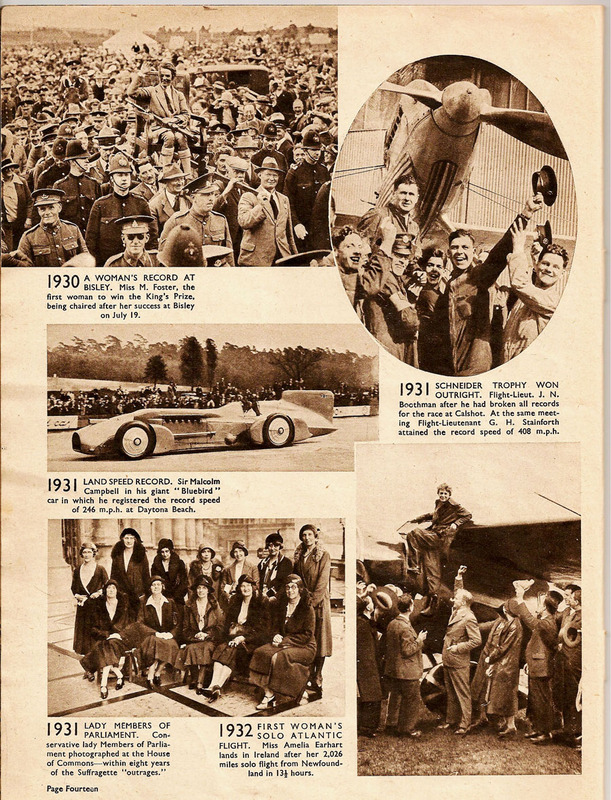 I have scans of these events thanks to kind relatives. This entry was posted in Apollo Bay, Family History, Family Stories, Farm Machinery, Farming, Genealogy, History, Uncategorized and tagged Apollo Bay, bullocks, Bullocky Bob, farm, Fricke, Glen Avon, Hay, horse, transport, wagon on October 10, 2014 by lazycoffees. This week Sepia Saturday showed us his magazine cover, so now I’ll show him mine. 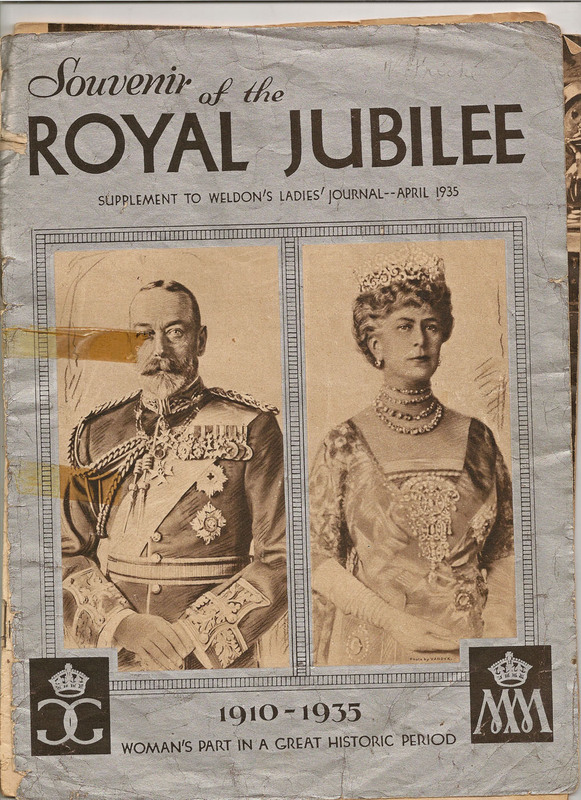 Actually it belonged to my mother and it was a Souvenir of the Royal Jubilee, 1910-1935 which was included with the English magazine Weldon’s Ladies’ Journal in April 1935, one of Weldon’s range of publishing interests. Their tribute was to King George V ( the grandson of Queen Victoria) and Queen Mary, celebrating fifteen years on the throne of the United Kingdom of Great Britain and Ireland, as well as other bits and pieces around the world. 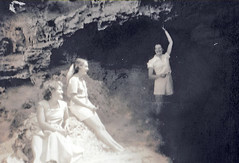 At times the emphasis is on the part women have played during those years. You will probably need to click on the images and enlarge them to read the explanations. 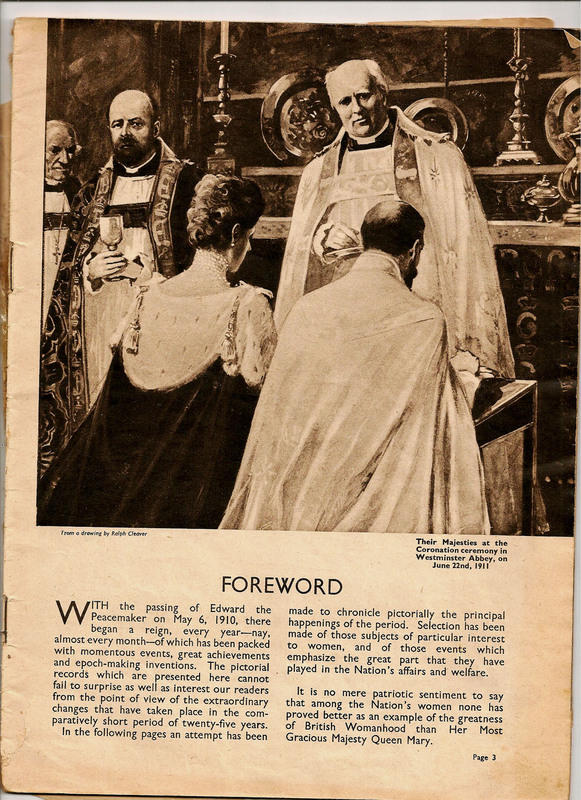 Weldon’s Ladies Journal was started in 1875 (or 1879, depending on the source) and was the first magazine specifically designed for the mass public. 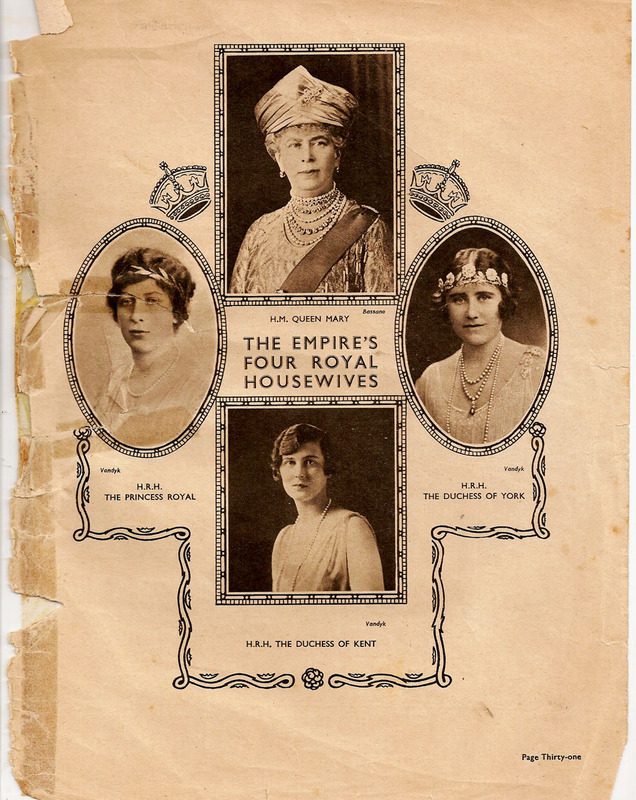 The magazines were very conservative and centred around the home and reflected upper class tastes and fashions. 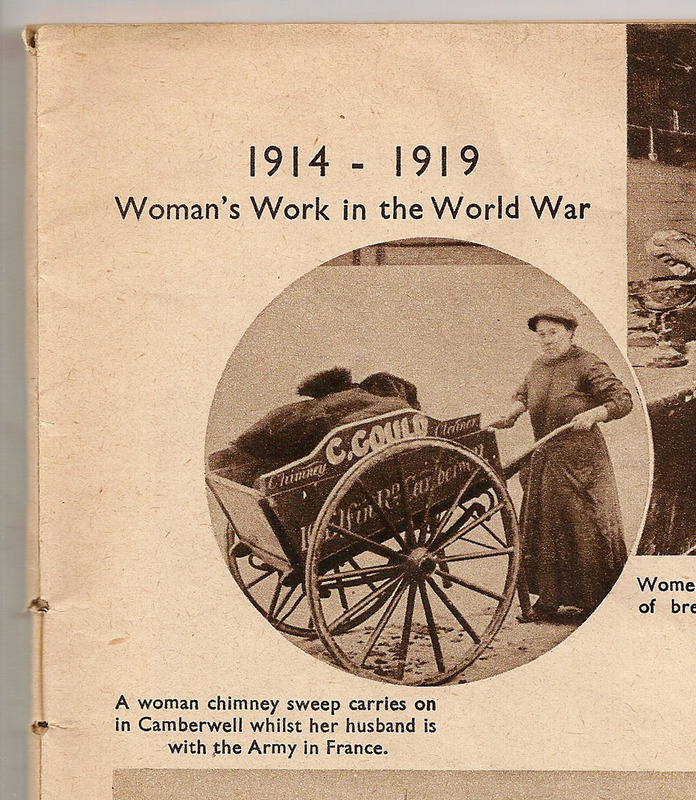 But times were changing and during World War I women worked at many different jobs for the first time. Just fancy, a woman winning the rifle shooting competition at Bisley in 1930, and women members of Parliament. 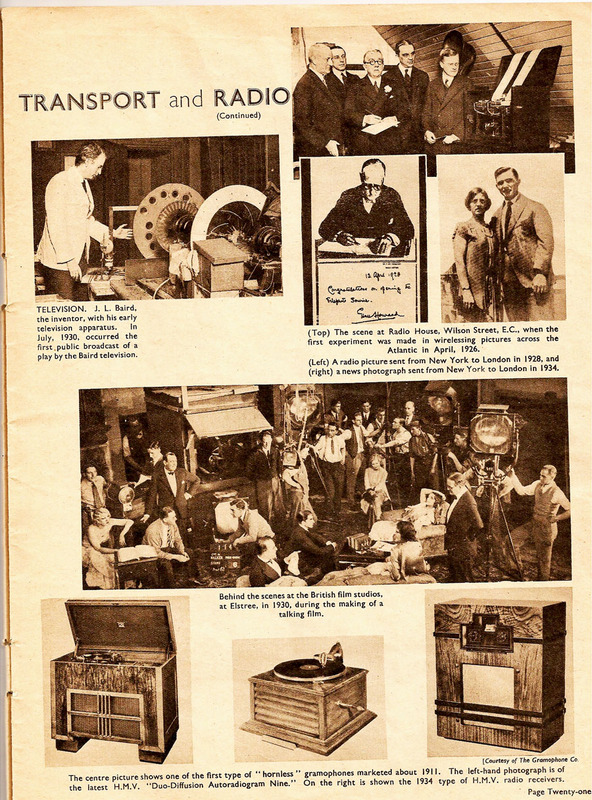 and were living through the birth of Television. Finally the small town of Appledore in Devon celebrating the Jubilee. This video, found on YouTube, put together by a young girl who was there with photos taken by her father. 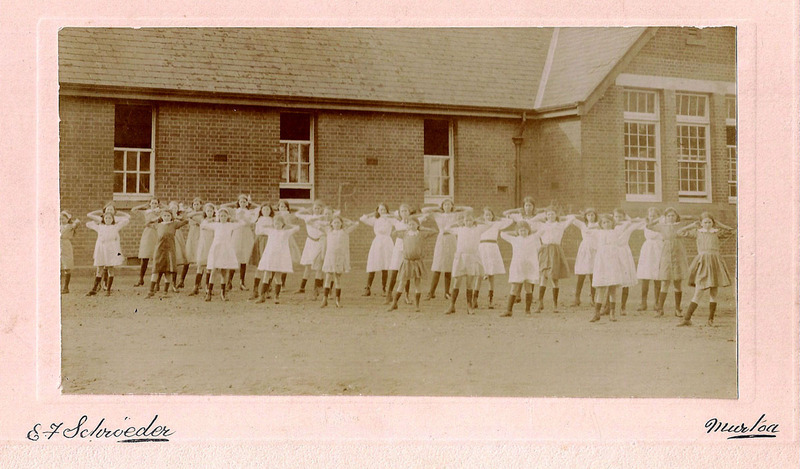 Watch for the two little girls in the striped crepe paper dresses. 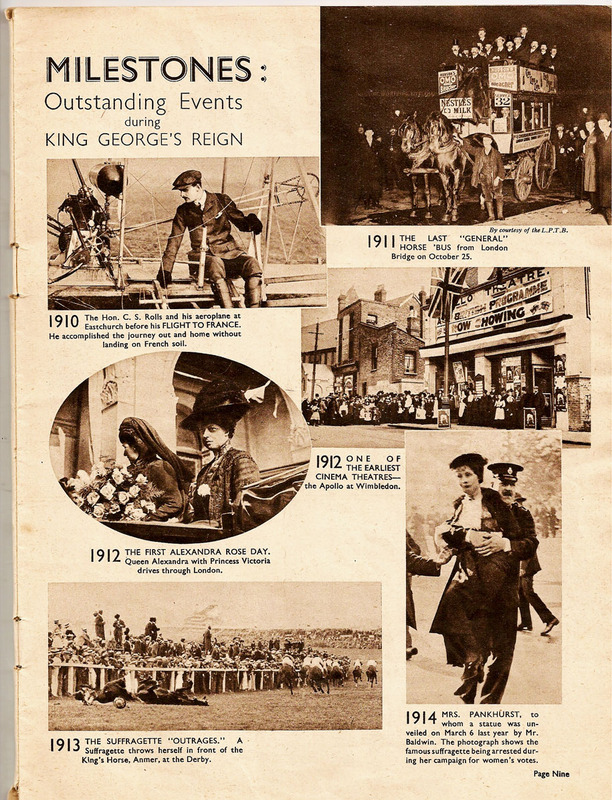 Before becoming King, as tbe Duke of York, George visited Australia in 1901 and opened the first Session of Parliament when the Commonwealth of Australia was formed from the several States. King George V died in January 1936 but Queen Mary lived long enough to see her granddaughter become Queen Elizabeth II. More links to magazine covers and other goodies can be seen at Sepia Saturday. 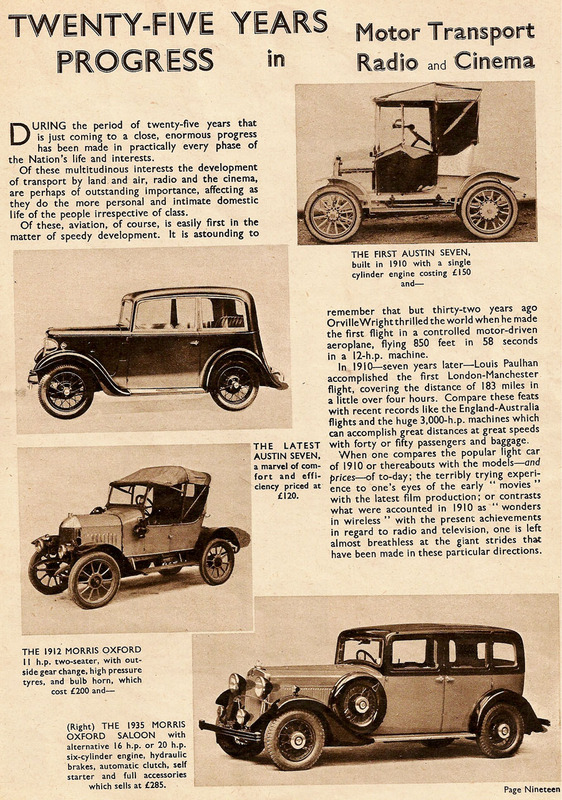 This entry was posted in History, Uncategorized and tagged 1935, chimney sweep, England, Great Britain, King George, magazine, Queen Mary, souvenir, Weldon, Weldon's L:adies' Journal on October 4, 2014 by lazycoffees.